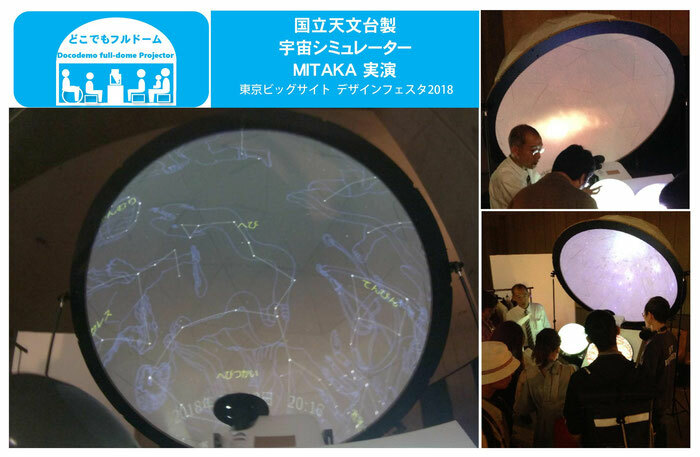 A conference was held at the Kyoto Institute of Technology in Japan. 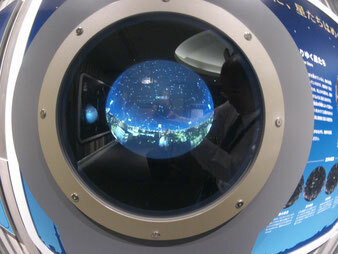 The meeting was named "Federation of Imaging Societies". 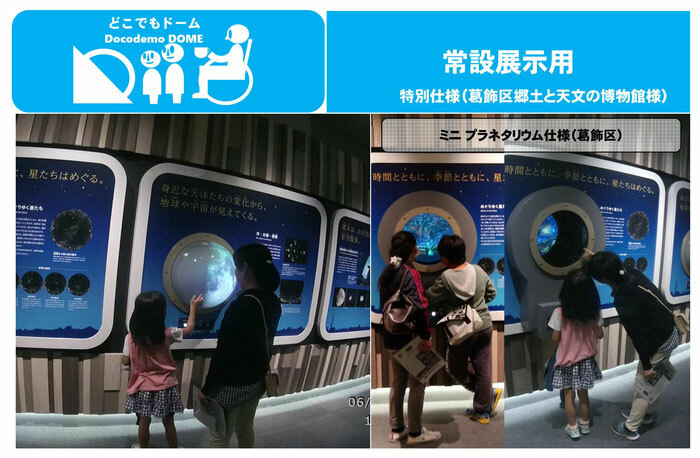 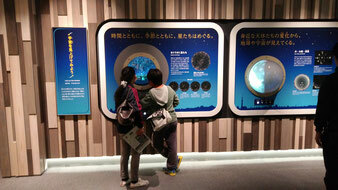 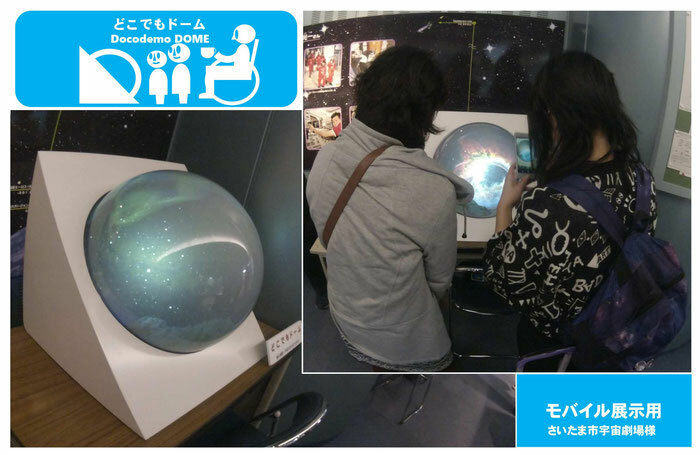 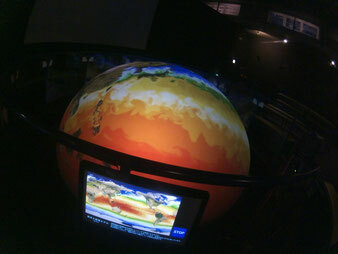 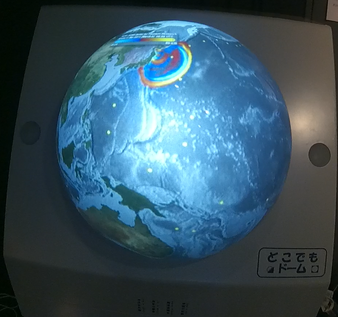 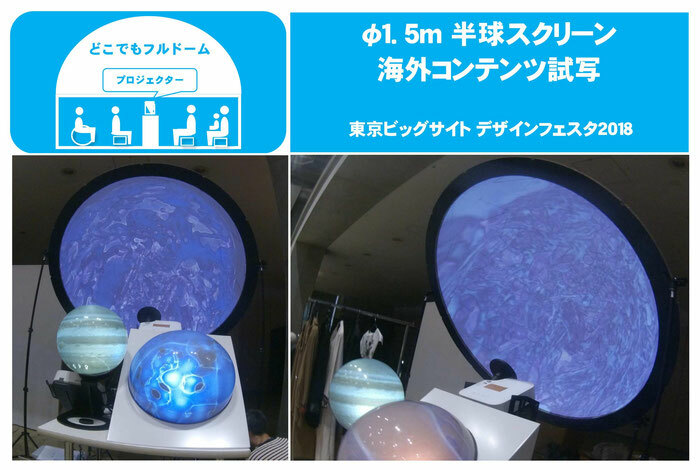 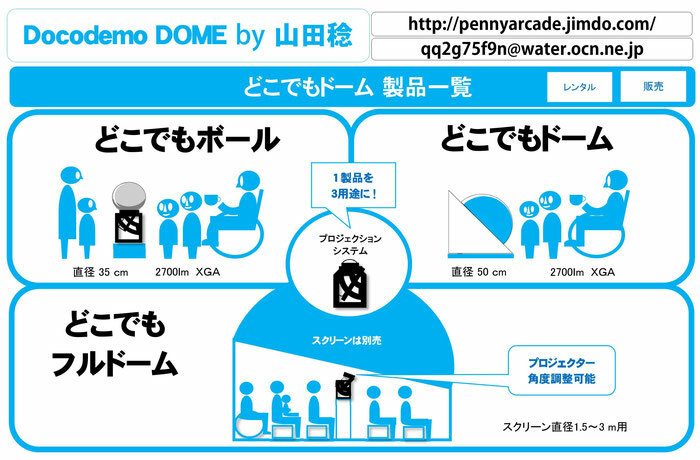 I have exhibited the spherical display"Docodemo Globe" and showed various contents and control system. 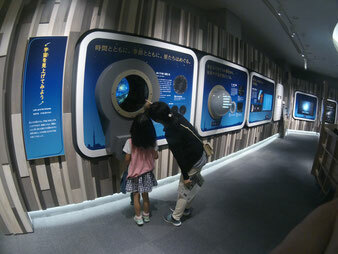 ・The Imaging Societies of Japan. 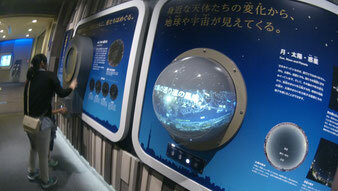 ・The Society of Photography and Imaging of Japan. 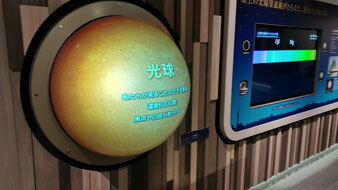 ・The Institute of Image Electronics Engineers of Japan. 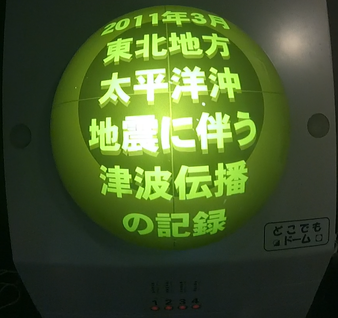 ・Japanese Society of Printing Science and Technology. 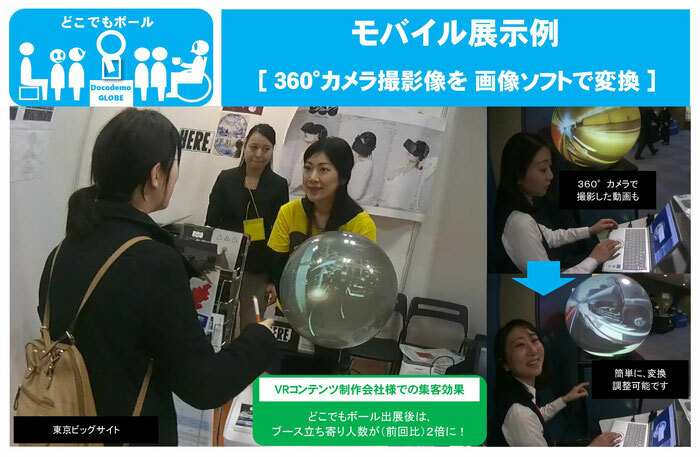 47 groups including me posted a poster on this society and carried out presentation. 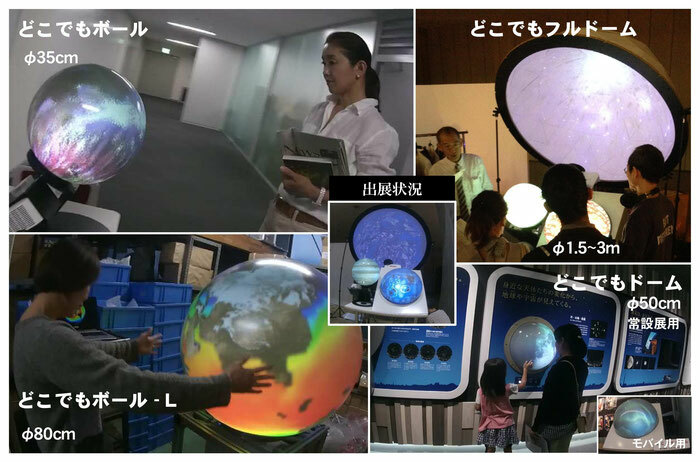 As a result of their examination I won the highest award . 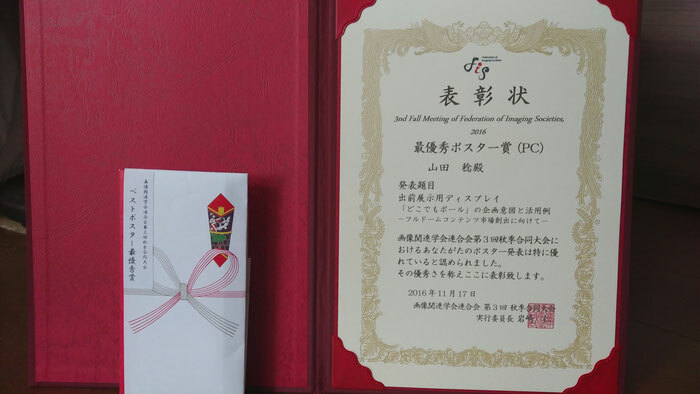 I posted the photograph of the certificate of merit which I had. 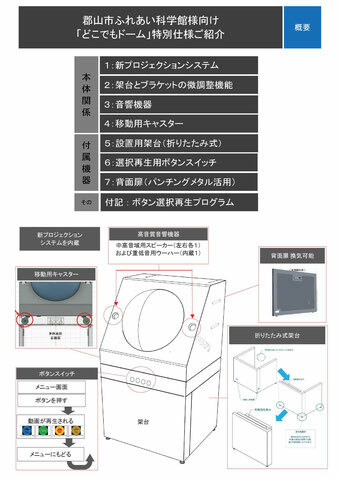 There are buttons on this page bottom. 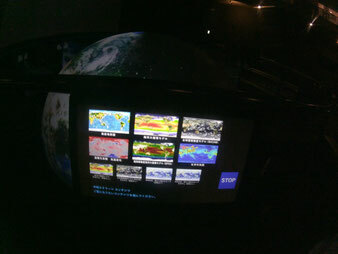 You can select various DISPLAY.